After a successful yearlong pilot run, the environmentally friendly coupon app Chinook Book has again partnered with the UO’s Office of Sustainability. Chinook Book offers paperless coupons and discounts to Falling Sky Brewery, Townsend’s Tea and the Kiva, among others in Eugene. The partnership was established to help students, faculty and staff cut costs and expand awareness of local businesses that promote environmentally certified products made in Oregon, said Steve Mital, director of the Office of Sustainability. The app also allows the Office of Sustainability to promote ways for faculty, staff and students to get involved with its programs. “I heard through a 2013 survey that many students didn’t know much about the UO’s sustainability programming. This app is one way we’re reaching out to the campus community and informing them about sustainability programming and achievements,” Mital said. 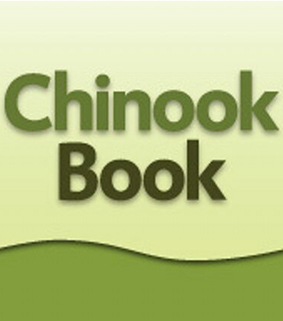 The Chinook Book app is valued at $15 but free to the UO community. It can be downloaded from the App Store or Google Play. After downloading the app, sign up using your full UO email address but you may choose your own password. You don't need an authorization code for this free version. Check your email for a message from Chinook Book. Confirm your account by clicking the link provided. When you return to your app, it will load your Eugene-area coupons.